Call for Price! 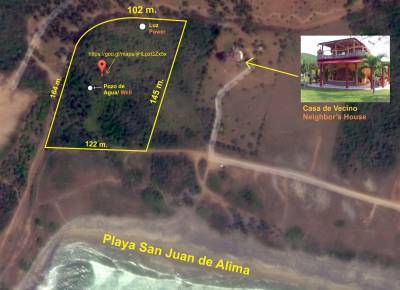 Only land available in San Juan de Alima bordering the prestigious "La Privada". 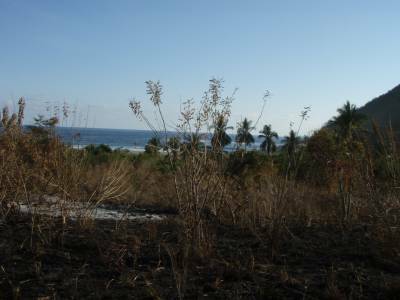 Here is a great opportunity to acquire a beautiful and secluded 4.3 acre parcel on the shores of the mighty Pacific. Located at the west end of the quaint little eco-tourists and surfing town of San Juan De Alima in Michoacán Mexico. 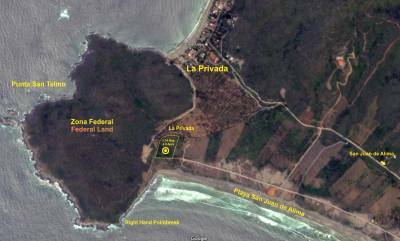 The property lies at the end of the beach road, with the north and west sides bordering the exclusive gated community of La Privada. The terrain starts out level at the road, and steadily rises to the back perimeter of the property, providing you with fantastic views of the pacific ocean, surrounding headlands, and inland highlands. There is a well with plentiful sweet water, power brought in underground, and an established perimeter road that runs along the north and west sides. 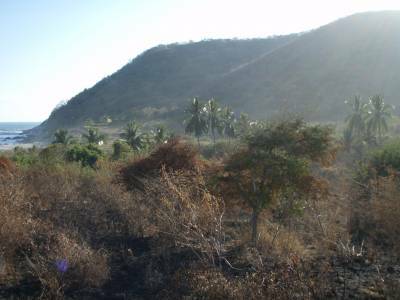 This unique parcel has mature producing tamarind trees, cocoa palms, and other mature trees for shade. The property is well suited for an organic farm. The soil is very rich, there is plentiful sweet water, and no pesticides have been applied in over 15 years. Surfers are aware of the world class breaks in the vicinity, but there is also one right in your front yard. It’s an unknown finicky right point break, but living in front of it you will catch it going off enough to realize how special you have it. 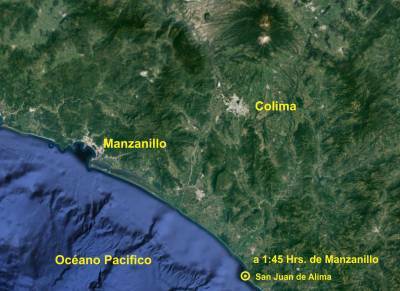 San Juan de Alima is located just south of Manzanillo with the towns of Tecoman and Colima close by. This quaint but up and coming seaside community is famous for its abundant sea life, vast array of tropical bird species, exceptional waves, attracting eco tourists and surfers all year round from around the globe. The exponentially growing tourism industry here has created the need and opportunity for business such as Boutique Hotels, B&B’s, Restaurant/Bars, and shops catering to the eco-tourism and surfers. Now is the time to buy whilst land is still relatively cheap in this up and coming growing area. One can have the mighty Pacific Ocean as your backyard and playground.